The firmness of a pillow can be a very personal thing! So our friends at The Woolroom have designed something that is on our opinion, genius! 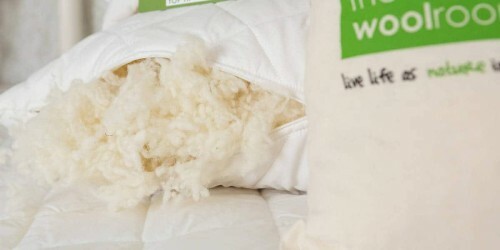 Introducing the adjustable pillow… Made from 100% British Wool, this adjustable pillow is purely dynamic to your sleep! ● If you like a softer pillow – unzip and delve in deep! Then fluff up the fibers, making them softer and full of air! ● If you like a flatter pillow – remove the desired quantity, to make the pillow the right height for you! 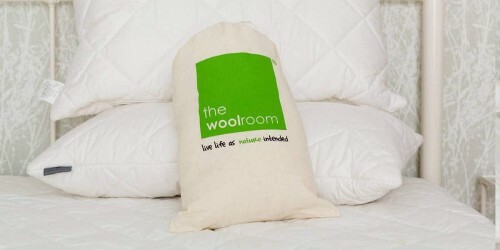 ● For a firmer pillow – simply buy an extra bag of wool filling and fill till your happy! We’re committed to ensuring that everyone gets a good night’s sleep and with these adjustable pillows the power really is in your hands. Whether you prefer a firm pillow, soft pillow or a flat pillow, you’re in control and adjust whenever you wish to. With a cover made from 100% cotton with a thread count of 280! The quilted cover can be machine washable at 30 degrees … But DO NOT TUMBLE DRY! Be sure to check out our other bedding products that are made right in Britain, there’s a range of duvets for all times of the year as well as mattress toppers and protectors designed to keep your mattress comfortable for longer.